How should we measure and show online learning activity? Tim O’Riordan from the University of Southampton writes about his research and presenting it at the ALT Conference. I work within the Web and Internet Science research group at the University of Southampton. The object of my research is to develop real and relevant approaches to automatically measure and visualise learning activity online. I recently presented my research at the ALT conference and will be publishing a paper in Research in Learning Technology. The aim of my research is to improve the discoverability of online learning resources. With news of Jorum’s imminent retirement, we’re witnessing a shift in the way open educational resources are made accessible and discoverable – as early approaches make way for hopefully better and more sustainable methods. Which is where my research comes in. if this could help improve discoverability. So far I’ve rated about 1,000 comments from a FutureLearn MOOC and compared 4 different content analysis methods with typical approaches to learning analytics. I have found that while the different content analysis methods measure learning from different perspectives, they are very highly correlated with each other – but less so with the interaction measures that are typically used in learning analytics. It appears that using pedagogically based methods may provide different, potentially more accurate, measures of online learning than ubiquitous web interaction-based methods – which indicates the viability of developing new tools to aid discoverability. It’s been a painstaking task, but the results look promising. 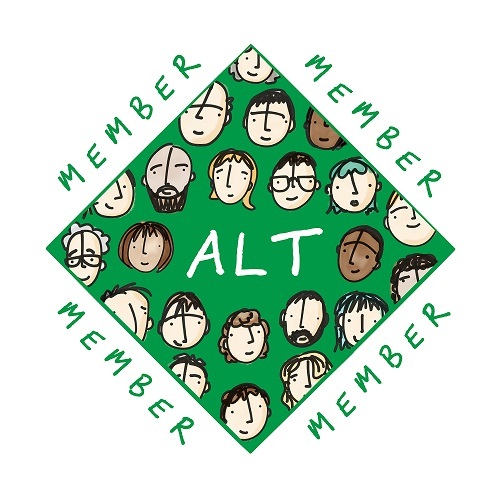 After many years on the side-lines, watching ALT-C grow and evolve – and benefiting from the outputs of one of the biggest, most connected, learning technologies conferences on the planet – I finally got around to attending my first Association for Learning Technology conference at the University of Manchester. As well as having an opportunity to present my research to an interested and knowledgeable audience in an extended 30 minute presentation I had the great good fortune to chat with keynote speaker and leading ed. tech guru, Steve Wheeler (primarily about how intense live blogging can be – think I might give it a try one day). Coming to the ALT Conference to present at this stage of my research was very useful. It’s important that I get out from the research lab, share my findings, and connect with users; that is: learners, teachers, and administrators. Firstly, presenting my work enabled me to gauge interest in the subject within the learning technology community (it’s bigger than I thought). Also, it’s essential that as well as being grounded in pedagogical theory, and producing reliable and reproducible results, the approaches I develop should make sense on a practical level to its users. 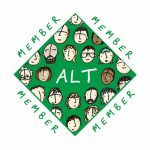 From the feedback I received, I think I’m moving in the right direction, but I’m always interested to hear more from the ALT community. If you would like to know more, you can see my presentation slides and an earlier published paper, a recent poster, or look out for the paper in Research in Learning Technology.